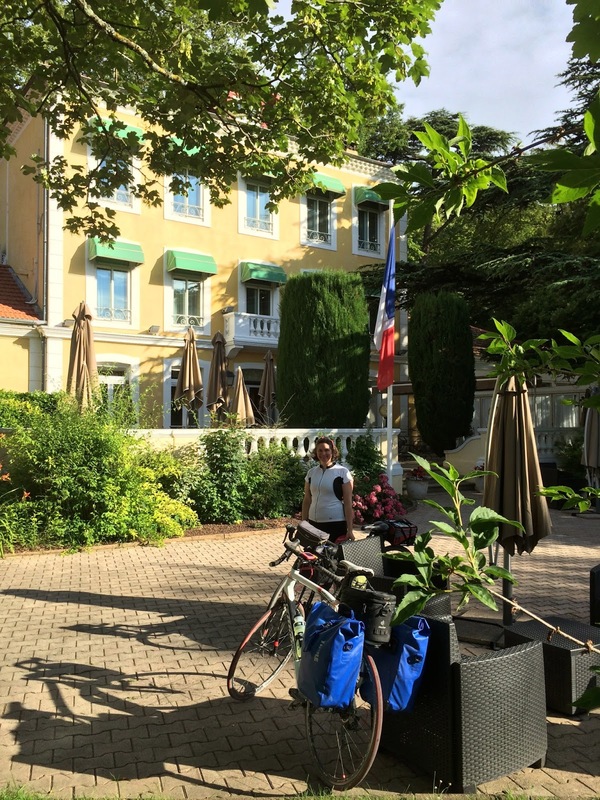 Here is part two of our Ardeche cycling adventure. Part one (see here) saw us take the Train de l’Ardeche steam train up to Lamastre and cycle back to the Rhône on the Dolca Via. To complete our circuit back to Tournon-sur-Rhône we joined the Via Rhôna from La Voulte-sur-Rhône and followed the mighty River Rhône. While not as dramatic as the Dolce Via it is a flat, fast running, cycling superhighway from Lake Geneva in the north to the Mediterranean in the south. The Dolce Via had been so beautiful but now we had reached the flat, busy and industrial banks of the Rhône, and it was a vast contrast. 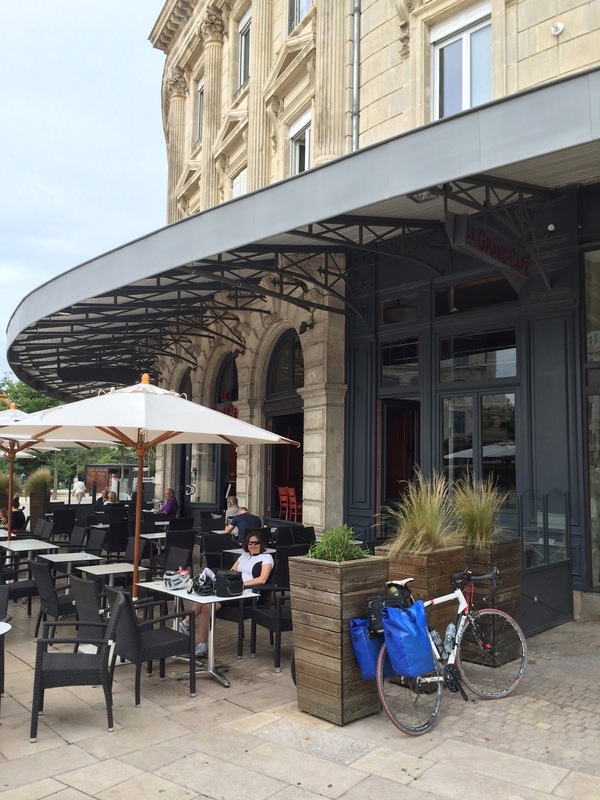 We detoured into La Voulte-sur-Rhône to find a bar, but it was a little uninspiring, so we made our way to the river and cycled along the road until we found an access point to the cycle path. I remember noting how full the river was and how close it was to bursting its banks, but didn’t think too much about it. The Via Rhôna path soon left the quayside and disappeared into a leafy green section, the river to our right and dense undergrowth to our left. We could hear a main road somewhere but we couldn't see any other signs of life. We hadn't gone far when we came across a short flooded section of the path. Adrian bravely led the way and it soon became evident it was rather deeper than we had first thought and as we peddled, we got wet feet. Hoping this was the only wet bit, we carried on until we found a section that had been flooded, but the water had receded leaving the pathway muddy. Again, this turned out to be deeper than we thought and hidden in the grey silty mud was gravel that stuck to the mud and then stuck to the bikes. I made it out the other end to find thick mud and grit jammed everywhere; wheels, brakes, gears and frame. The only option was to pick it all out. Adrian wasn't so lucky. 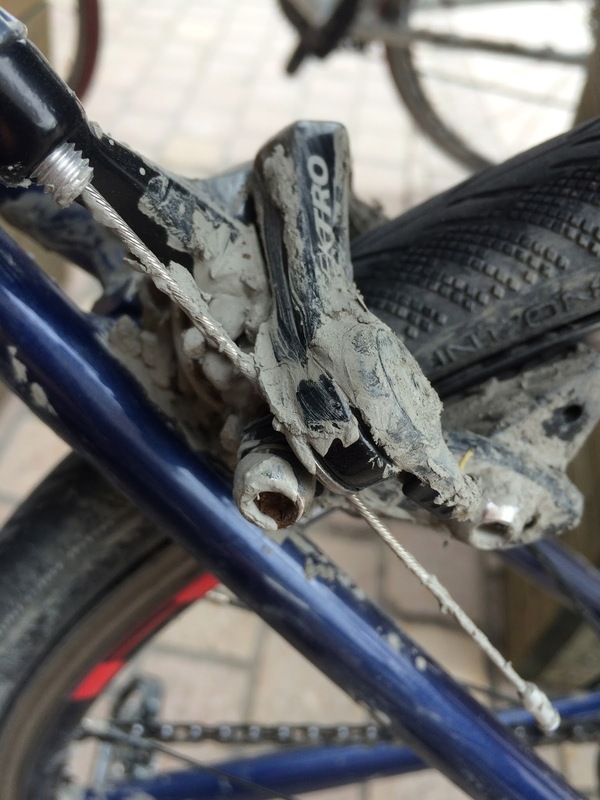 The mud and grit had locked his back wheel and bent the bracket that attaches the derailleur to the frame. There followed a moment of panic when we truly thought we might be stranded. There was no exit from the cycle path; it was either carry on and hope there was no more, or return through the evil mud and at this point we didn’t even know if Adrian could free his back wheel. We made use of the prolific Japanese knotweed (first use I've found for it) and used the large leaves as wipes to clean the bikes as best we could. After a roadside repair, Adrian managed to select a gear that didn't seem to be causing any more damage and his wheel turned once more, but changing gear was out for him for the next 20 km at least. 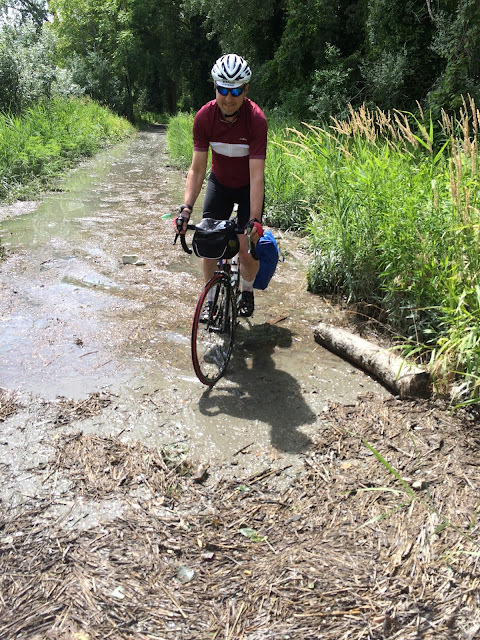 We were warned by a German cyclotourist (who we persuaded to turn back to avoid the mud) that there were a few more flooded sections up ahead, but no more impassable mud. We limped on slowly, using the wet sections to wash the bikes. One very deep flooded section looked too much for me to cycle through, even though two Dutch cyclists sped through as we were dithering at the edge. We waded through calf-deep water, which meant very soggy shoes and socks for the rest of the day. To say it was a relief to find the end of this isolated section was a bit of an understatement. It really took the edge off what had been a fantastic day on the bikes. We had planned to detour to see some sights, including the village of Beauchastel, but we abandoned that idea and headed slowly and carefully straight for our hotel. Our hearts sank when we saw the elegance of the villa we arrived at. We were hot, sweaty, mud splattered and my shoes were squelching with every step and caked in thick, grey mud. However, Le Cèdre de Soyons is an accueil vélo hotel and the young couple that run it couldn’t have been more helpful or friendly. They showed us straight to a workshop where the bikes were stabled beside their immaculate Harley Davidson. Adrian was given a box of brand new bike tools and bits, and told to use whatever he needed to try and fix a temporary repair on his gears. I was helped to our room with all our mucky bags and the owner wouldn’t hear of me removing my shoes and socks, so embarrassingly I dripped grey sludge all the way up the stair carpet. The bedroom was beautiful and bright thanks to three large windows, and the bath was perfect to help us relax and wash off the grime from the day. Dinner, served in the hotel was delicious and good value and we both agreed we couldn’t have stayed anywhere better. The following morning we left fully refreshed and despite Adrian only having one gear we made good progress and detoured into Valence for morning coffee. From Valence to Tain l’Hermitage, the Via Rhôna is decorated with steep vineyards and is much more picturesque than further south. We crossed the Rhône via the impressive old footbridge back into Tournon and went straight to Tournon Bikes, where the damaged bracket was straightened and Adrian could once again change gear. Our little tour of just some of what the Ardeche has to offer for cyclists was over and we were sad to be leaving such a beautiful area of France, even if cycling along the Rhône had lost some of it’s appeal. 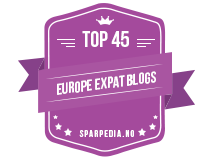 This post has been linked to Dreaming of France. 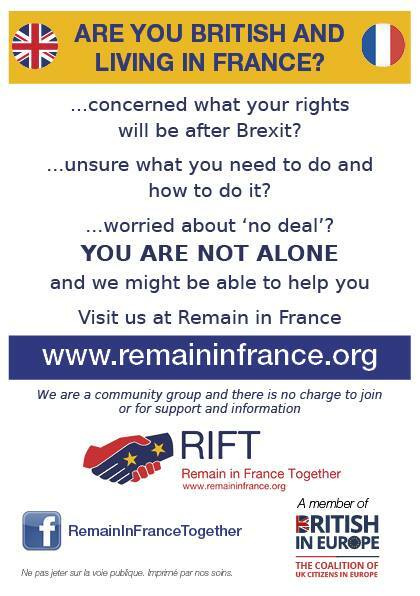 See here for more France posts.